As a sought after pianist and teacher, Leonie Thompson is highly regarded for fusing poise, imagination and fire into her performances. 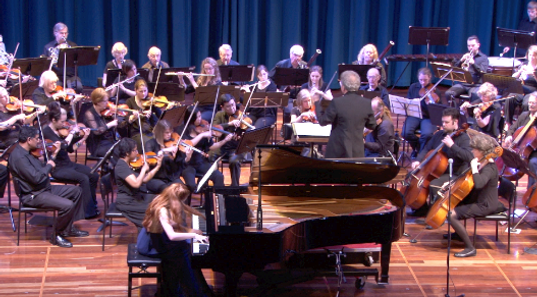 She has given solo recitals interstate, performed at charity events across Melbourne, as well as several performances of the Grieg Piano Concerto with the Maroondah Symphony Orchestra. In 2015 she performed in Masterclasses at the New York Symposium on The Taubman Approach, travelling there on scholarship from Melbourne University. Co-founder of Ensemble con Fuoco (Piano, Clarinet, Violin), Leonie made her debut at the Melbourne Recital Centre as chamber musician in 2013. Ensemble con Fuoco are well known through performances broadcast on 3MBS FM radio, and their vision to support emerging Australian composers through the commissioning and premier performances of new music. Recognised for her excellence in piano performance, Leonie was awarded the Clare Foster Memorial Scholarship, the University of Melbourne Doris Chandler Bursary in 2010 and 2015, and the AMEB Licentiate Diploma. 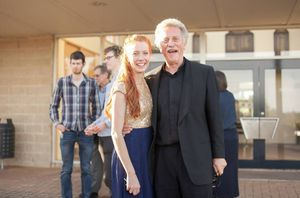 She completed her undergraduate studies with Dr. Anna Goldsworthy, and is currently completing Masters in Music (Performance) at Melbourne University with the esteemed Prof. Ronald Farren-Price AM. 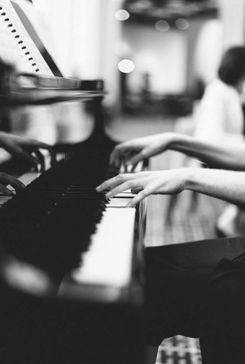 Leonie co-founded and curated the recent St. George’s Travancore Music Series - a fundraising project to purchase a grand piano for the local community, and create an accessible music performance venue in Melbourne’s inner northwest. Judging by the capacity audiences, interest, and support, this project will become an annual concert series that supports emerging musicians. In the future, Leonie wants to further the important composer-performer collaborative opportunities through solo and chamber performance, develop her teaching studio, and continue to think outside the box in creating opportunities for musicians.